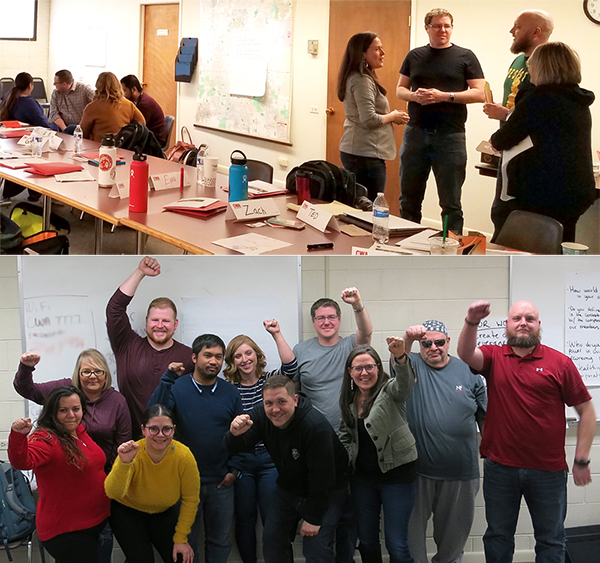 AT&T and Cricket Wireless members from CWA Locals 7708, 7750, and 7777 gathered in Denver, Colo., last week for the pilot of a new CWA STRONG Steward Training program. The pilot was developed by a group of CWA staff appointed by every district and sector, who reviewed and modified the existing Steward Training. The new program is designed to give CWA stewards comprehensive training on how best to represent their coworkers as unions face anti-worker attacks from corporate special interests and from institutions like the President Trump-controlled NLRB. In the training, stewards discussed ways to take every opportunity to mobilize and engage their members. The pilot program will continue in various cities, in an effort to seek input from CWA stewards and staff across the country from different bargaining units and levels of steward experience. After the pilot program has been completed and the training material has been finalized, it will be used to train local leadership and encourage a systematic approach to covering both new and existing stewards.